He´s ready now vor DCH VDH! He´s ready now for DJCh Club! 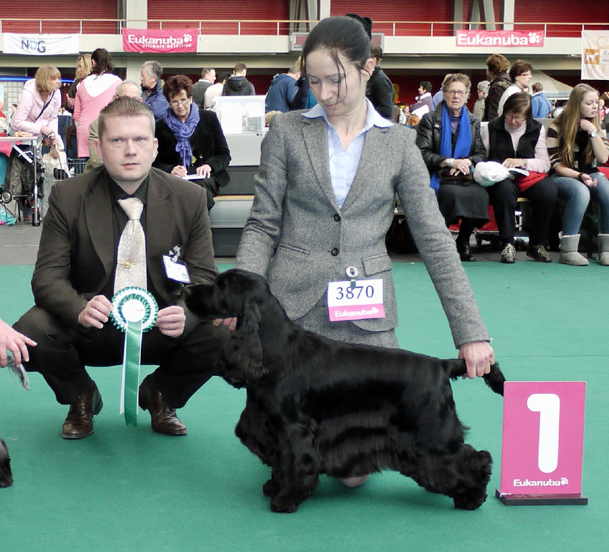 Colman Black Petrs Exc.1, Bundesjugendsieger, Crufts qual. Zodiac Black Petrs Exc. 1, CAC (VDH+Club), Club Winner, BOB, BIS3!!! Thank you Nadin Klinke, Jutta and Wolfgang Meyer for help in BOB competition! Thank you, Sigrid, for help during the whole day!!! Thank you Conny and Kim for your help during the finals! half sister Yucca Black Petrs! Casey Black Petrs vp1, BIS Puppy, BIS Res.!!! BIS, Club Show Winner 2011!!!!!!!!!!!!!!!!!!!!!!!!!!!!!!!!!!!!!!!!!!!!!!!!!!!! that I always had the right dog in the ring at the right time! Zodiac Black Petrs: Exc. 1, JCAC (VDH), JCA (Club), VDH European Junior Winner 2011!!! Zody is ready for Deutscher Jugendchampion VDH und Deutscher Jugendchampion Club now! In that video the four European Winners 2011 competing for BOB. Winner was beautiful girl from Junior Class "Elmelund´s Wau Wau" breeder and owner Pia Elmelund (DK). Congratulations, Pia! It was lovely to meet you and Karl again. All the best for you and your child! Brooke Black Petrs: Exc. 1, JCAC (VDH) in the finals wonderfully handled by Sabrina Letzing. Audrey Schönez: Exc. 1. JCAC (VDH), JCAC (Club). FCI Centenary Junior Winner 2011!!! Laura is ready for Deutscher Jugendchampion Club now! Svenja, for your help during the finals! You did a great job!!! Both girls are ready for Deutscher Junior Champion VDH now!! !